What stands out to you more: the fact that this vape cartridge is made with non-winterized CO2 oil, or the fact that it’s grown, processed, and even delivered - by Native Americas from their reservation? 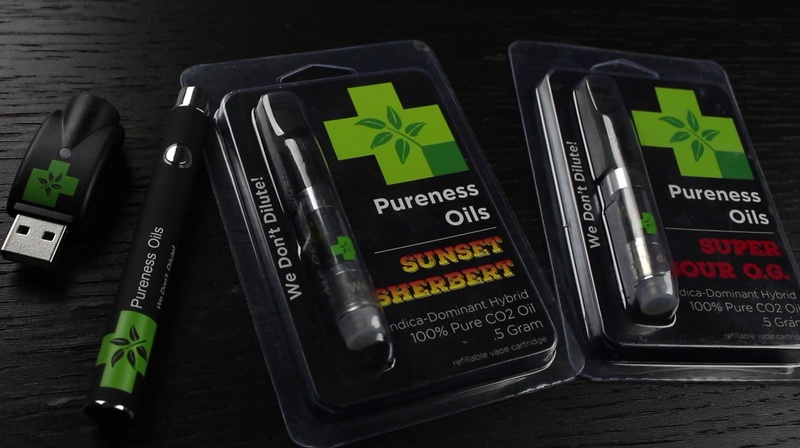 These vape cartridges by Pureness Oils were not very tasty or expensive, but the story behind them was more interesting. 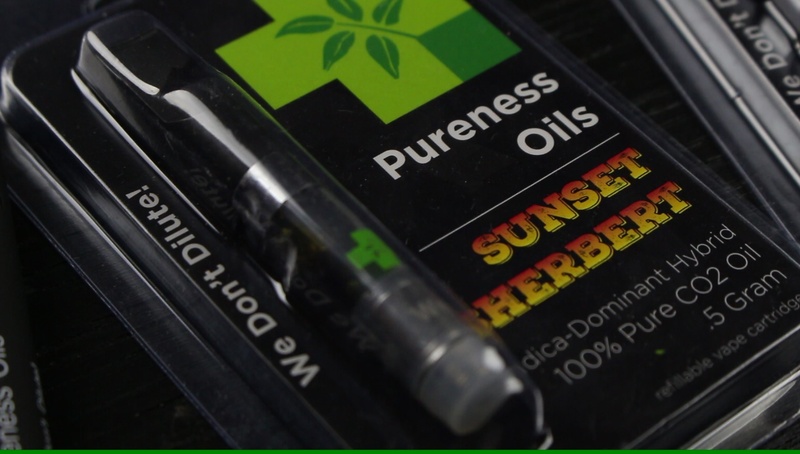 Pureness Oils is a brand new cannabis company on the market, growing and processing a multitude of strains and products. 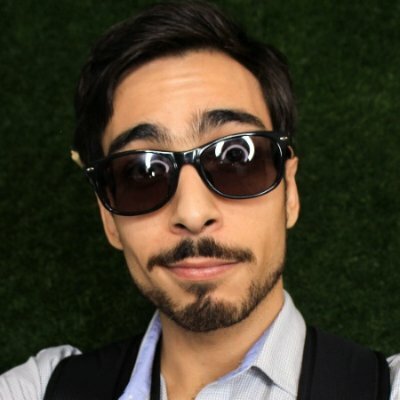 Currently they only have dank tanks and I believe syringes available, but they said they plan on expanding their product line as they grow and develop. They’re not available in any shops, so if you’re interested, ask your local shop or delivery to hit them up. Operated (and I’m assuming owned) by Native Americans who own a reservation in southern California with shitloads of weed plants. Their rep described how they’re growing 5+ strains and looking to expand their already expansive farm with more greenhouses. They also run a delivery service out of their reservation, so you get your medical cannabis delivered by their Native American delivery drivers. I’ve heard of Native Americans trying to work with cannabis before and it’s pretty cool to see this kind of business thrive. They’re looking to get this product into dispensaries, and even working on bigger, national based projects. 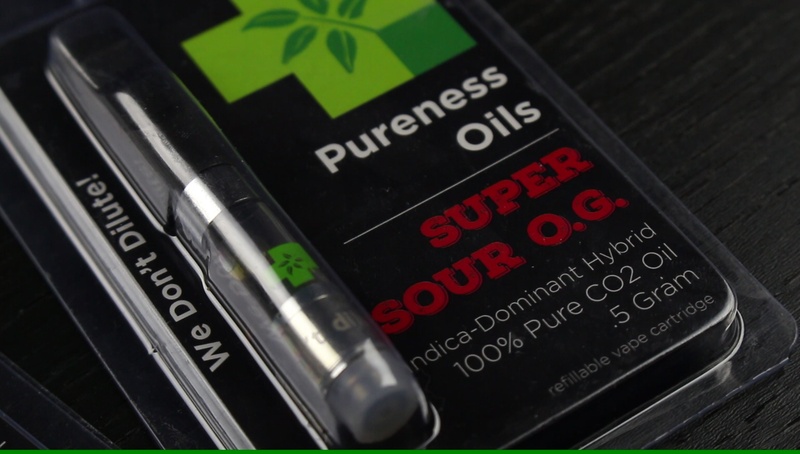 We received four single gram vape cartridges from Pureness Oils for review, two different strains - Super Sour OG and Sunset Sherbert. The cartridges themselves were the classic acrylic and wick variety with a black plastic mouthpiece and 510 thread connection (with one side of the threading flattened out for some odd reason). What differentiated this cartridges from other plastic wick types I’ve had was their screw on mouthpiece. The older vape cart mouthpieces would pop off, revealing a flimsy plastic plunger that (barely) kept the oil from leaking out. Instead, this newer vape cart’s mouthpiece features a metal screw that seals the oil into it’s chamber, ensuring no leakage from the top. Each cartridge was printed with the Pureness Oils logo, and the text “we don’t dilute” etched in the metal base. I’d prefer strain names etched into the cartridge instead of company mantras, makes it easier to pick one out without smoking each one first to see. But let’s talk about the oil. It’s a pure CO2 based oil that hasn’t been winterized or mixed with any fillers (PG, VG, PEG, etc). Their rep expressed to me that it’s one of the key factors that makes their oil different from others on the market. He insisted they didn’t want people smoking and ingesting copious quantities of trace ethanol in their products. If you guys aren’t aware, let’s break it down really quick. When you extract cannabis with a solvent like CO2, butane, etc — it pulls not only the plant’s trichomes containing cannabinoids, but it pulls lipids and waxes from the plant. Winterization is the process that separates the cannabinoids from essentially — the fat. To winterize oil you mix it with ethanol (high proof alcohol), put it in the fridge, separate the fat from oil, and then let the ethanol evaporate. Like any solvent extraction, there’s always a chance of trace portions of the solvent to appear in the end product. So Pureness Oils foregoes the winterization step to ensure a secondary solvent isn’t introduced into the mix, and possibly trickled down into the end product. Their reasoning was considering the effect of trace ethanol on patients using their product. People with cancer or other immune system comprising disorders are advised to stay away from consuming alcohol due to it’s immunosuppressive effects. It was an interesting thought, and something small that a lot of people don’t consider. And the effects of consuming alcohol vapors has already been well known to be detrimental to health. What the lack of winterization produces is a thicker, darker oil that resembles an RSO (ironically) and tastes closer to rosin. You get great flavor from these cartridges, really giving you a sense of the strains terpene profile. The only thing that gets in the way is the taste of wick. You get great flavor off the first couple hits, then immediately the hit becomes harsh and tarnished with the taste of burnt wick. The cartridges lasted about 4 days of heavy use between 2 people, pretty good life, better than average. The smoke density was solid, you get big clouds off a good battery and long draw. The strains were good samples, the Sunset Sherbert was fantastic and the Super Super OG was pretty whack. The Sunset Sherbert tasted phenomenal, a medley of sweet and fruity tones. And the high was great, it was uplifting, empowering, and warm. In contrast, the Super Sour OG tasted awful. I should have taken the name more seriously, it tasted like sour patches of dry grass. It wasn’t enjoyable, and it got very harsh more quickly than the other cartridge - making it harder to smoke. And I had two cartridges of the Super Sour OG, and the second one was worse than the first. The high wasn’t great either, it was fairly light in the body high department, while causing paranoia and overstimulation of the senses causing discomfort at higher doses. Sunset Sherbert, great. Super Sour OG, super disappointing. Overall the cartridges weren’t that great. Strains were hit or miss, the flavor was hit or miss, and the high was decent for a vape but still gave me a headache. I think the product needs more work. They need to get a better potency out of the plants, whether it’s growing danker buds or getting a more concentrated oil. And I’d also like an oil that isn’t as thick. The oil was so thick it never seemed to move, even when heated, and made it harder to inhale smoke. Metal cartridges with ceramic atomizers wouldn’t hurt either, but that’s just me. I give this product a 4/10, plenty of room for improvement. Give it a shot if you’re in the market for a new inexpensive tank with full spectrum oil, it’s better than a few in it’s price range.